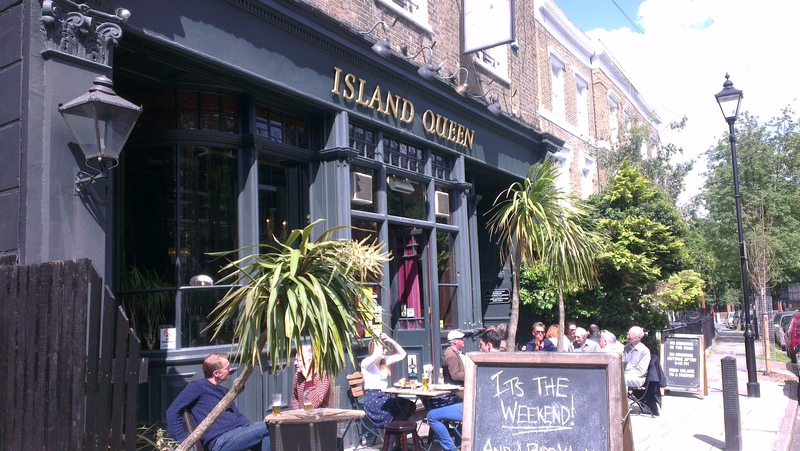 The Island Queen, hidden in the darkest depths of Angel, is a pub I’ve wanted to visit for a long time, but with one thing and another, never got around to. This week, wanting a change from our usual Wetherspoon’s fare, Louise and I decided to give their Sunday lunch a try. Firstly, service was fast. We’d barely sat down after ordering when the food arrived. It was good too. I had pork belly served with roast spuds, a medley of vegetables including courgette, leek, carrots and peas and the obligatory Yorkshire pudding. Other options were beef, chicken, turkey wrapped in bacon (which was inhaled in short order by Louise) or a nut roast. 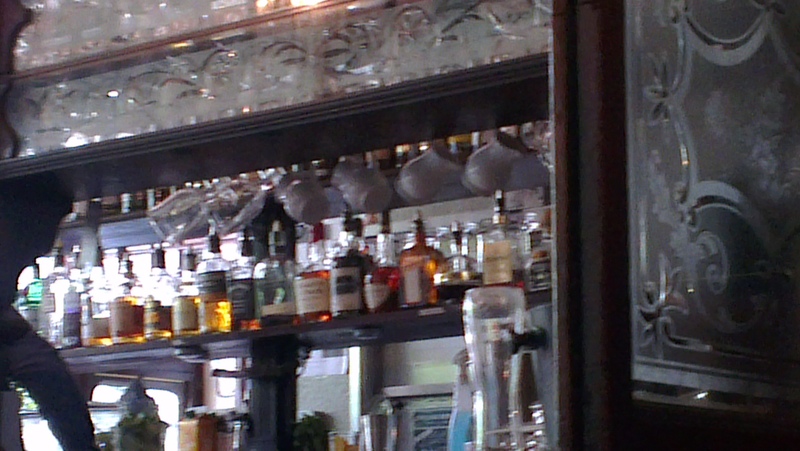 we had a Camden Hells to go with it, which suited rather well in my opinion. A most enjoyable meal with a particularly rich sauce. The menus are available online so I won’t repeat them here. The pub itself is smaller than I’d expected, and friendly. We found a sofa in the parlour section which was a bit low for eating, but that was our choice. The overhead fan made it a little chilly but nothing to be overly concerned about and the music was unobtrusive. The clientele seemed friendly enough and the background chatter was low enough that we didn’t need to struggle to be heard; something that can be a problem in some pubs. Definitely hipster with a subtle hint of gastro. 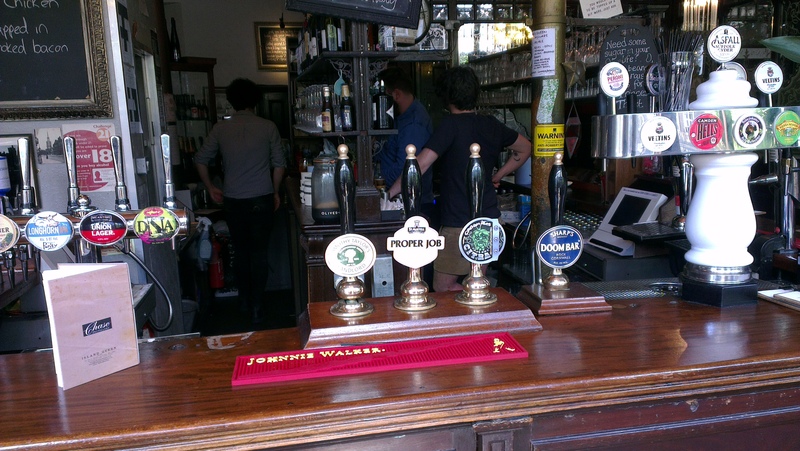 There was a good range of draught and craft beers available, as well as plenty of wines and speciality drinks. We had another beer before leaving, a Longhorn IPA from Purity Brewing for me, and a Meantime Union for Louise. It’s not the cheapest pub, but I think worth it for an afternoon or evening out. Over all, I think I’d give this one 4 stars out of a possible 5, and I’d certainly consider coming back some time. Previous Post: What an exciting morning!